Thank you to all of our brave veterans, and to our young men and women who are currently serving, for all that you have sacrificed for the freedoms we enjoy as Americans! While this page lists programs and services specifically for disabled veterans, our website offers numerous resources for those with disabilities. To locate support for your specific disability, check out our webpage on Support Groups and Disability Specific Organizations. Department of Veterans Affairs issues an annual guide that outlines available government benefits for veterans - Federal Benefits for Veterans, Dependents and Survivors. National Association of County Veterans Service Officers can help you connect with your local County Veterans Service Officer. Officers have a unique insight into the laws that govern Veterans Benefits and will apply their specialized knowledge to each individual veteran's needs. The Veterans Consortium Pro Bono Program provides free attorneys to veterans and their qualifying family members who have an appeal pending at the U.S. Court of Appeals for Veterans Benefits Claims. VeteranAid.org is a website that helps families of aging veterans in need of home care, assistive living or nursing home care, apply for the little known Aid and Attendance benefit available via the Veterans Administration "Improved Pension" Benefit. This program will provide up to $1,704 per month to single Veterans, $1,094 per month to surviving spouses, and up to $2,020 per month to Veterans with a spouse, to help pay for the costs associated with long term care. A September 2012 article in the New York Times entitled A Little-Known Benefit for Aging Veterans highlighted this organization's work on behalf of this program. Veterans Benefits Administration offers links to numerous benefit options available to veterans, their spouses and children. Benefits are available for education, home purchases, vocational rehabilitation, life insurance and survivors. VetsFirst is a program of United Spinal that provides veterans assistance and representation in claims for benefits and services before the U.S. Department of Veterans Affairs, other Federal and state agencies and legal representation before the U. S. Court of Appeals for Veterans Claims. AFCEA Educational Foundation offers a variety of scholarships to Military Personnel who are currently enrolled in a STEM-related degree program. Adrian College: Operation Education - Adrian, Michigan - provides a full scholarship each year to one disabled American veteran who was injured during combat in Afghanistan or Iraq post September 11, 2001. This scholarship will pay for tuition and other fees throughout their enrollment at the college. To learn more, call (517) 264-3142. Arkansas State University - Jonesboro: Beck Pride Center - Jonesboro, Arkansas - provides services to combat wounded veterans in an effort to assist them in accessing higher education, resources for counseling, personal rehabilitation, advocacy, and financial assistance. As part of this program ASU offers financial aid through the Governor Mike Beebe Veterans Fund Scholarship. To learn more about the Beck Pride Center, call (870) 972-2624. Michigan State University - Lansing, Michigan - offers a Disabled Veteran's Assistance Program, which provides an aid package that covers full costs without loans, to new and returning undergraduate veterans with a military-related disability who are Michigan residents and working on their first baccalaureate degree. To learn more, contact the financial aid office at (517) 353-5940. ThanksUSA provides college, technical and vocational school scholarships to the children and spouses of U.S. military personnel who have served full-time for at least 180 days since 9/11/01 and all those who have been either killed or wounded in action since 9/11/01. Applications are accepted on an annual basis and are typically due in May, prior to the start of the Fall Semester. For more information, call 1-877-THX-USAS (1-877-849-8727). University of Idaho: Operation Education - Idaho - is the nation�s leading scholarship and assistance program for post 9/11 disabled military veterans and their spouses. Each individualized scholarship provides financial, academic and social support and resources � such as tuition, fees and books, on-campus housing, transportation, medical assistance, child care, adaptive equipment, tutoring and mentorship. To learn more, call (208) 885-5304 or e-mail operationeducation@uidaho.edu. Feds Hire Vets is a website of the U.S. Office of Personnel Management designed to educate Veterans on the Feberal Government's efforts to recruit and employ Veterans. This website provides information concerning the Veterans Hiring Preference, Special Hiring Authorities for Veterans, How Federal Jobs are Filled, assistance available for Veteran Education and Training, and much more. Hire Heroes USA is a non-profit organization that offers no-cost transition assistance, job search assistance, and job placement services to those who have honorably served in the US military � and to their spouses. Priority is given to veterans of the Iraq & Afghanistan wars that are wounded or disabled. While they do their best to serve all veterans, there may be a wait for services. In the meantime they provide numerous online tools and a job board. Job Opportunities for Disabled American Veterans is an online job database that posts jobs from employers that have an expressed interest in hiring disabled veterans. The site also offers helpful articles on such topics as resume and cover letter development, preparing for the interview and much more. My Next Move - For Veterans is a simple and quick search engine where veterans can enter their prior military experience to determine potential civilian career paths that match their skill sets. Veterans will also be linked to information on related training as well as application and interview preparation. Paralyzed Veterans of America: Mission Able provides vocational rehabilitation to paralyzed veterans in Richmond, VA; Minneapolis, MN; San Antonio, TX; Long Beach, CA and Boston, MA. Veterans receive the services and tools they need to reintegrate into the job market and are matched with businesses and organizations with open career positions. To learn more, contact the PVA National Headquaters, 1-800-424-8200 or e-mail the Mission Able program directly, mission-able@pva.org. Service Disabled Veterans Business Association (SDVB) provides business counseling, training and employment opportunities for our nation�s disabled veterans, to include those with severe disabilities. America's Heroes at Work focuses on the employment challenges of returning service members living with Traumatic Brain Injury (TBI) and/or Post-Traumatic Stress Disorder (PTSD). While this project is primarily aimed at employers, the website offers a number of links for returning service members and their families. Career One-Stop: Key to Career Success connects veterans and transitioning service members with high quality career planning, training, and job search resources available at local One-Stop Career Centers. Via their website they offer resume writing resources and tools, a career match assessment, links to job databases and much more. Gold Card offers post 9/11 veterans up to 6 months of comprehensive career services via their local One Stop Career Center. To locate a One Stop Career Center near you, call 1-877-872-5627. Veteran Jobs Bank is an online job directory that helps veterans find civilian jobs that align with their military experience. All costs to attend the program, including travel expenses, lodging, meals, and the cost of the program itself, are covered by the school. Admission to the program is competitive and you must complete an application to be considered. To learn more, visit the Bootcamp website, call (315) 443-6007/6899 or e-mail ebvinfo@syr.edu. Small Business Administration via their Office of Veterans Business Development offers specialized programs aimed specifically at service-disabled veterans. Via their two-step entrepreneurial training program, Boots to Business, they help prepare servicemen and women for business ownership and management. The Veterans Corporation, established by Congress under Public Law 106-50, provides Veterans and Service-Disabled Veterans access to the tools needed to become successful business owners. They offer a variety of trainig opportunities and have established national partnerships to assist veterans in their business ventures. To learn more, call (202) 349-0860 or e-mail info@veteranscorp.org. VETRN provides the resources, training and mentorship necessary for veterans and family members in order to help them grow their business. More specifically, they provide enrollment in the nationally recognized StreetWise 'MBA' program. Please be certain to also review the resources under General Support, as many organizations within this category offer various financial assistance programs. American Legion, The offers a Temporary Financial Assistance (TFA) program aimed at keeping the children of deceased or disabled veterans at home rather than in institutions. The TFA fund has been used to assist families in meeting the costs of shelter, food, utilities and health expense items when the parents are unable to do so. To learn more, contact your local Legion Post or visit The American Legion website. Military.com - Auto Financing -- Just found this resource that provides several helpful articles on auto financing for military members. Some of the articles include: Saving money with auto financing, tips to make sure auto dealers don't take advantage of you, and options for when you're denied an auto loan. Coalition to Salute America's Heroes provides Emergency Financial Aid to wounded veterans. Emergency relief will cover expenses such as, utility bills � gas, electric, water, cable, internet, and phone service, car payments, new car deposits, car repair costs, and gasoline, mortgage and rent payments, home repairs, groceries, school supplies and clothing, and medical bills and co-payments. For more information, call (914) 432-5400. Operation First Response provides financial assistance to families of wounded servicemembers. Financial aid is provided for mortgage, rent and utility payments, vehicle payments, groceries, clothing, and transportation to medical facilities. For more information, call (888) 289-0280. Rebuild Hope is a national organization that provides post 9/11 veterans with service connected disabilities temporary financial assistance in the form of grants and no interest loans. Very specific criteria exists. To learn more visit their website, e-mail dana@rebuildhope.org or call (650) 321-4930. Semper Fi Fund provides financial aid to Marines and Sailors as well as members of the Army, Air Force and Coast Guard who have served in support of Marine forces in post 9/11 combat. Financial support varies and can include: relief for needs that arise during hospitalization and recovery, such as childcare, travel expenses for families and other necessities; the purchase of adaptive transportation, home modifications and specialized equipment, such as wheelchairs, audio/visual equipment for the blind, and software for traumatic brain injuries; education, job placement and therapeutic programs. To learn more, e-mail info@semperfifund.org. Veteran Love, a non-profit 501(c)(3) organization, was founded to assist our wounded and disabled service men and women. Via their Veteran Love and Appreciation Fund they provide "emergency" financial support to those veterans who qualify as well as access to professional counselors qualified to help those with PTSD. Visit their website for more information or call (305) 673-2856. American Legion, The provides assistance to severly injured servicemen and women via their Heroes to Hometown program. Through this program, servicemembers can receive temporary financial assistance, pro-bono financial planning, housing assistance, home and vehicle adaptation and government claims assistance. To learn more, e-mail heroestohometowns@legion.org or call (202) 263-5761. Disabled American Veterans (DAV) is a non-profit organization that offers free assistance to veterans in obtaining benefits and services earned through their military service. Services include transition assistance, disability evaluation and benefits claim assistance, homeless veterans assistance and much more. Contact DAV at (877) 426-2838 to learn how they can assist you. Enable America via their VetConnect program assists wounded and disabled veterans re-acclimate to their communities and, ultimately, to the workforce. One aspect of this program pairs recently wounded veterans with similarly wounded peer mentors who have completed or are completing the recovery process. They also connect veterans to agencies and organizations that can help them adapt everyday routines to their disability, enable them to further their education or vocational training, help them secure jobs with government and private employers, or return to active duty. While based in Tampa, Florida, VetConnect assists veterans throughout the United States. To learn more, call Enabled American at (813) 222-3212. Helping a Hero offers a range of support services to servicemembers injured during the war on terror, including mentorships that provide one-on-one advice for careers, family issues, resources, etc., opportunities to connect with support groups for periodic, social or educational gatherings, financial assistance to cover unexpected expenses not covered by other means, opportunities to participate in sporting events, and educational grant assistance to heroes and/or their children. To learn more about any of these opportunities, call (888) 786-9531. Military OneSource, a website of the Department of Defense, offers a range of information on Military life, including benefits, eduction, employment for wounded veterans, and much more. An information line is also available via 1-800-342-9647. Military Warriors Support Program offers a variety of support programs and financial assistance to servicemembers injured during active duty. Support includes, educational scholarships, job retraining and placement, financial assistance in instances of pressing emergency financial situations, recreational opportunities, cost-free individual and family counseling services. Additional programs include the Host a Family Program, which is designed to provide families of injured soldiers help through practical solutions and the Labrador Adoption Program, which provides a loving companion to aid in stress relief for soldiers as they decompress from PTSD, TBI and other brain injuries. For more information, call (210) 615-8973. National Military Family Association offers information to families of servicemen and women. More specifically, they offer information on resources and programs related to health care, education, employment, available benefits and much more. They also offer Operation Purple Camp, a week-long, overnight camp for military children (aged 7-17). To learn more about this opportunity, e-mail operationpurple@nmfa.org. National Resource Directory is an online partnership for wounded, ill and injured servicemembers, Veterans, their families and those who support them. The Directory provides access to more than 10,000 services and resources at the national, state and local levels that support recovery, rehabilitation and community reintegration. Information is provided on such topics as benefits, education, employment, health, housing and more. US Military Benefits: Military links and External Resources of Disabled Veteran Associations offers a very comprehensive list. Wounded Warrior Project, based in Jacksonville, Florida, provides programs and services to severely injured active service members and their families during the critical time between their initial rehabilitation while on active duty and their eventual transition to civilian life. Their work begins at the bedside of the severely wounded, where they provide comfort items and necessities, counseling, and support for families. They help to speed rehabilitation and recovery through adaptive sports and recreation programs, raising patients' morale, and exposing them to the endless possibilities of life after an injury. Finally, they provide a support mechanism for those who have returned home by providing outreach and advocacy on issues like debt and disability payments that will affect their families' future. For more information, visit their website or call (904) 296-7350. Family Caregiver Alliance has developed a resource page for caregivers of Veterans. Caregivers will find links to articles, resources and fact sheets. Help for Veterans Struggling with Addiction a guide from the Denver Recovery Center describes how many of our nation�s bravest have come home from foreign lands with the memories which are horrific in nature and can cause many issues if left untreated. Among the most prevalent of these concerns are physical pain from injuries and mental illnesses such as PTSD which can lead to addiction and depression. This guide offers how to recognize the signs toward addiction, gives advice to veterans suffering from addiction and depression, how they can seek help as well as a list of support groups and resources at the bottom of the page that they can use to find help and guidance. My HealtheVet is VA�s award�winning e�health Website, which offers Veterans, active duty service members, their dependents and caregivers access to VA health care information and services. Registered Veterans can access informatio on current benefits, record and track health history, refill prescriptions, and more. Registration is free. U.S. Department of Veterans Affairs: Health Benefits: Financial Hardship provides assistance to veterans that are facing a financial hardship (such as a recent job loss). Vets that may not have qualified for VA Health Benefits in the past may be approved under the VA's Medical Care Hardship program. To learn more, call 1-866-400-1238. U.S. Department of Veterans Affairs: Veterans Health Administration links veterans to important health-related information and resources. More specifically Vets can be linked to benefits information, health and wellness resources (ie. dental care, mental wellness, suicide prevention, etc. ), medical facilities, patient advocacy programs, and more. U.S. Department of Veterans Affairs: VA Caregiver Support offers comprehensive support services to caregivers (family or otherwise) of veterans with special health care needs. Support may include payment (or a monthly stipend) to the caregiver, caregiver training, access to health insurance, mental health services and counseling, and more. If you are caring for a loved one who is a veteran with a disability, you need not struggle alone, call the VA's Caregiver Support Line at 1-855-260-3274. A representative will help you identify the services and programs that will help you effectively care for your loved one at home. Department of Veterans Affairs: Homeless Veterans links homeless and at-risk veterans and their families to essential services and resources. National Call Center for Homeless Veterans, offered by the Department of Veterans Affairs' (VA) provides free, 24/7 access to trained counselors. Homeless Veterans will be connected with the Homeless Point of Contact at the nearest VA facility and family members calling on behalf of a homeless Veteran will be provided with information regarding the homeless programs and services available. The hotline is available by calling 1-877-4AID VET (1-877-424-3838). Veterans Homelessness Prevention Demonstration Program (VHPD), lauched in April 2011, is a three-year pilot program that supports efforts to identify and assist homeless veterans regain and maintain housing stability and to support veterans at risk for homelessness . The program is currently available at five military installations in the United States: Camp Pendleton (San Diego, CA), Fort Hood ( Killeen, TX), Fort Drum (Watertown, NY), Fort Lewis (Seattle, WA), and McDill Air Force Base (Tampa, FL). National Coalition for Homeless Veterans is a national network of community-based service providers and local, state and federal agencies that provide emergency and supportive housing, food, health services, job training and placement assistance, legal aid and case management support for hundreds of thousands of homeless veterans each year. Homeless and at-risk veterans can connect to information and resources via their website. To get started, visit their Step-by-Step Plan to assess your needs. Department of Veterans Affairs: Loan Guaranty Home Loan Program facilitates, through a network of lenders, home loans to veterans and unmarried surviving spouses of veterans who died on active duty or as the result of a service-connected disability. To learn more, contact your Regional Loan Center. Available in San Diego, CA Only - Green Beach builds energy efficient, barrier free homes for disabled Veterans. To learn more, call (619) 260-1700. Helping a Hero via their Wounded Hero Home Program, builds specially adapted homes for severly wounded servicemen and women. Homes are placed in planned communities where veterans will be surrounded by stable families. The homes, which are often valued at about $250,000, are sold to Veterans for $50,000. Veterans must sign an agreement to remain in the home for 10 years. To qualify, veterans must be a minimum of 30% Permanently Disabled and have been injured during Operation Enduring Freedom/Iraqi Freedom. To learn more or to download an application, visit the Wounded Hero Home Program website or call (888) 786-9531. Homes for Our Troops is a non-profit, 501(c)(3) organization committed to helping the men and women of our armed forces who have selflessly given to their country and have returned home with serious disabilities and injuries. They assist severely injured Servicemen and Women and their immediate families by building specially adapted homes or adapting an existing home for handicapped accessibility. For more information on eligibility and application procedures, visit their website or call (866) 787-6677 (866-7-TROOPS). Housing and Mortgages for Veterans Mortgage Loan.com offers this comprehensive guide to housing and mortgages for veterans. This guide covers What a VA loan is, Uses for VA Loans, VA Cash-out Refinance, VA Interest Rate Reduction Loan (i.e. VA Streamline Refinance), The Benefits of VA Loans, Eligibility Requirements for a VA Loan, The Process of Getting a VA Loan, The VA Loan Appraisal Process, Finding a VA Loan Expert and more. Rebuilding Together, via their Rebuild program, assists people with the cost of home repair and adaptations. To learn more, call 1-800-473-4229. Available in Raleigh, NC Only - Stanton Homes� for Heroes offers Veterans and Active Armed Forces service members a 3% discount on any new home built by Stanton Homes in Raleigh, North Carolina. This new home discount applies to anyone who has served in the Armed Forces for one year or more, whether now in the military, retired, a veteran or honorably discharged. This includes personnel from the Coast Guard, Army, Navy, Marines, and Air Force, as well as National Guard and Reserves. For more information on the Stanton Homes� for Heroes program, including details on discounts available through partners, call 919-278-8070. 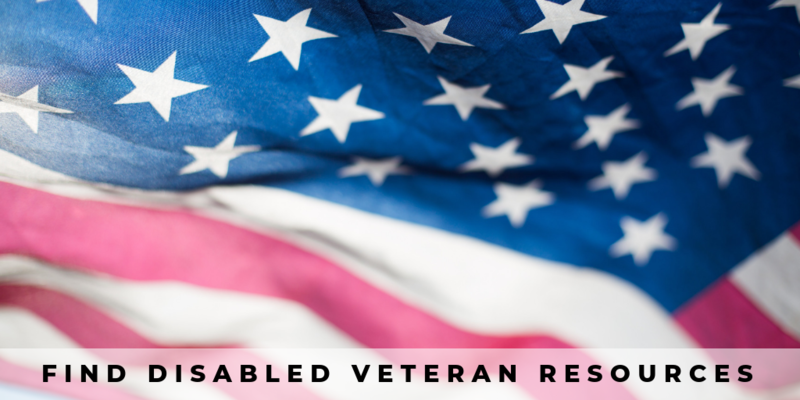 United States Department of Veterans Affairs: Housing Grants for Disabled Veterans will connect you to information on the Specially Adapted Housing Grant Program and the Special Housing Adaptations Grant. Both of these program provide funds to veterans with specific service-connected disabilities. Please review the information carefully as the guidelines are specific. For more information, e-mail sahinfo.vbaco@va.gov or call (877) 827-3702. United States Department of Veterans Affairs: Loan Guaranty Home Loan Program works with lenders to provide Veterans with favorable home financing options. To apply, check out the website or call 1-888-244-6711. Blinded Veterans Association is an organization of blinded veterans helping blinded veterans. Via their Field Service Program, "field reps" assist newly blinded veterans in locating local resources, working with the VA, filing claims, and preparing for work. They also offer Operation Peer Support, through which they link combat-blinded veterans of World War II, Korea, and Vietnam with newly blinded veterans who have been wounded in Iraq and Afghanistan. To learn more, call (800) 669-7079 or e-mail bva@bva.org. Defense and Veterans Brain Injury Center (DVBIC) serves active duty military, their dependents and veterans with traumatic brain injury (TBI) through state-of-the-art medical care, innovative clinical research initiatives and educational programs. For more information, call (800) 870-9244 or e-mail info@dvbic.org. Mesothelioma.com: Veterans Blog, while developed as an informational and advertising source by the lawfirm of James F. Early, LLC, provides useful information concerning Veterans healthcare, asbestos exposure and treatment of this cancer. Mesothelioma Web: Veterans & Mesothelioma page provides information and resources specifically aimed at Veterans, including Veterans Affairs assistance. This site can also help veterans identify whether or not they may have been exposed during their military service. National Center For Post Traumatic Stress Disorder conducts research to better understand PTSD. This website offers vast amounts of information for Veterans and their families concerning PTSD. More specifically, they offer information on Types of Trauma, Diagnosis and Assessment, Treatment and Coping, Common Reactions, Related Problems, and Family, Children, and Relationships. Paralyzed Veterans of America, with chapters throughout the United States, works to maximize the quality of life for its members and all people with spinal cord injury (SCI). PVA offers free benefits and medical counseling as well as a variety of sports and recreational opportunities and events. They also advocate for paralyzed veterans rights and accessible design among other issues. For more information, or to locate a chapter near you, call (800) 424-8200. Disabled Iraq Veterans and Affected Spouses is a new online support group for spouses and significant others of disabled iraq veterans. It is a place in which visitors can discuss the issues they are facing in caring for or living with a disabled veteran. Head Strong provides FREE mental health care services to post-9/11 veterans. Services are currently available in the New York Metro area, San Diego and Riverside County, Houston, Chicago, and Washington D.C.
How PTSD Service Dogs Help Heal Wounded Warriors A trained PTSD service dog can provide a sense of security and have a calming effect on the veteran, help with episodes of depression, and be a loving companion. These dogs can sense mood and will know when it�s a difficult day. Additionally, organizations train them to respond to PTSD episodes and help bring their humans back to a relaxed state. Furthermore, they give companionship without judgment, bringing joy into lives as they help heal emotional wounds. There is a list of links to organizations that train and provide service dogs for veterans at the end of this article. Wounded Warriors Family Support, based in Nebraska, provides support to the families of those who have been wounded, injured or killed during combat operations. More specifically, they sponsor week-long getaways for soldiers and their families in Orlando, Florida and Galveston, Texas. To learn more, visit their website or call (402) 502-7557. American Veterans Disabled for Life Memorial is a website which has chronicled the development of a memorial in honor of the servicemen and women permanently injured in combat. The website features "Stories of Honor," a section that shares the experiences of those injured. © Copyright 2008-2019 New Horizons Un-Limited Inc.